Races prove popular for cyclist and spectators alike, the club regularly hosts numerous races at the purpose built circuit here at Bellurgan Park. Having both the facilities of the purpose built park and the mountains of the Cooley Peninsula make Dundalk one of the premier mountain biking locations in the country. 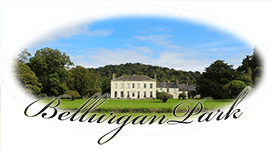 Due to the spectacular layout of Bellurgan Park it hosted the first cyclocross race for nearly 25 years in the Dundalk area. The racing is fast and tough and adapts racing bikes with off road courses. Cuchulainn Cycling Club is Louth’s premier cycling club formed 75 years ago in 1935. The club caters for many different cyclists, men, women, experienced cyclists, newcomers and children.